Happy [insert applicable national holiday here] to my Canadian friends and fellow Americans! I'm off to see some amaze-tastic fireworks at Oregon Ridge Park in Hunt Valley (yes, that Hunt Valley, home of the Keeley family. The fireworks and Baltimore Symphony Orchestra performance just might be the setting for a scene from SHINE.) Fingers crossed it doesn't storm--our poor dog is afraid of thunder, which makes every summer social activity "tentative" for us. Last week's winner of a copy of Elana Johnson's Possession, courtesy of Simon Pulse, was...commenter #5, Julie! Thanks to everyone who stopped by and commented. 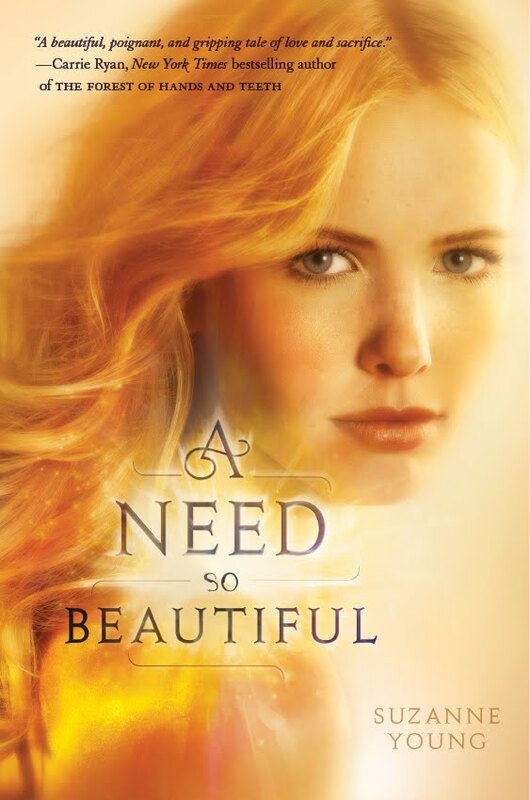 This week's guest is Suzanne Young, author of the just-released A Need So Beautiful, which just yesterday was named one of Amazon's five Best Books of the Month. Woo-hoo! Read the first 50 pages of A Need So Beautiful. Booklist gave it a starred review, calling it, "A clever and well-written fantasy. Whether Charlotte is an angel or a being less freighted by religious tradition is left up to the reader, but the dilemma of how we can make a lasting impression is a very human concern. Young offers an elegant solution that is well worth consideration." Suzanne Young currently lives in Portland, Oregon, where she uses the rainy weather as an excuse to stay inside and write obsessively. 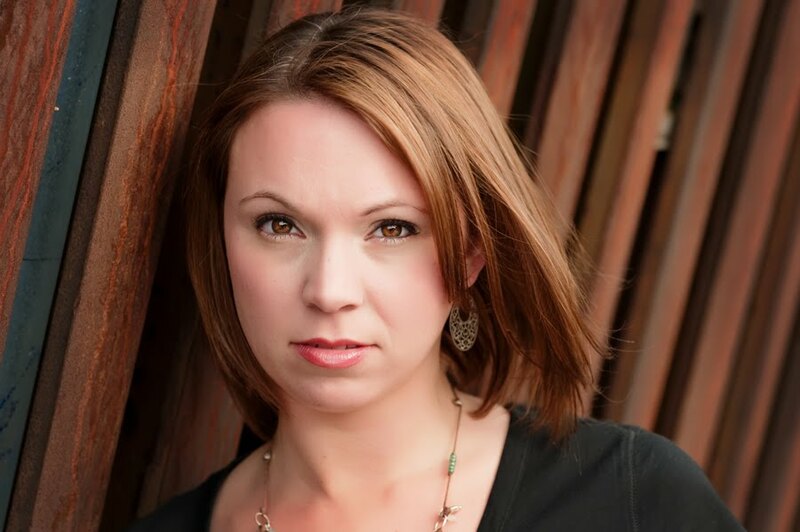 After earning her degree in creative writing, Suzanne spent several years teaching middle school language arts. Now she can be found at home chasing after her two children and poorly behaved dog and writing novels for teens. You can visit her online or follow her on Twitter. And now, my interview with the lovely lady herself! Which moment(s) during the writing/rewriting/editing of this book made you tear your hair out? Trying to explain the mythology. It wasn’t based in any particular faith, so I had to make it up as I went. So there were times when I wanted to bang my head on the keyboard. Which moment(s) made you think, "ah, THIS is what carries me through the hair-tearing bits"? I had the ending written before most of the book. And knowing I was going to get there was a real motivator. We're told we have to "kill our darlings" when we edit. Can you share a deleted line or paragraph you would've loved to have kept? Bonus question: tell us why you decided to cut it. I cut this quick paragraph, but honestly, I think it was just trimming and not for any huge reason. Which book/movie/TV show have you recently discovered that made you want to kick yourself for not reading/watching sooner? If your house was on fire, what object (not including living creatures, human or non-human) would you grab on the way out? Picture of me with my grandmother. Is there anything most people are able to do (such as drive a car, swim, ride a bike) that you can't? I’m a terrible swimmer. I don’t really like water all that much. When I was a server I’d have a reoccurring dream of trying to get the order of a table, but being too busy. It was horrible! Argh, I still have that dream, and I haven't waited tables in ten years!